Providing a complete turnkey solution for the planning, design and construction of rural electric cooperative facilities. Following a team approach – Utilizing the design/build process. Becoming an extension of your staff and provide the BEST VALUE. Gary Hobson is the Chairman of Cooperative Building Solutions. He has spent his entire 50 year Rural Electric career helping the “Member at the End of the Line” receive quality service at the lowest possible price. Gary has provided leadership in several rural electric organizations including two distribution cooperatives, NiSC, NRECA, CFC, NRTC, statewides, generation, and transmission cooperatives. From the boardroom to the lineman on the pole, he understands how rural electric cooperatives work and operate. Gary earned his Bachelor Degree in Management from Oklahoma State University. His background and training have given him the ability and experience to help your Cooperative in many practical ways. For the past several years, Gary has been helping Rural Electric Cooperatives plan, design and build new facilities. Many rural electric cooperatives do not have the time, expertise, or staff to take on the challenge of planning, designing and constructing a new facility. That’s where Gary and his Team come in. They will handle every aspect of the project from feasibility through construction. Gary and his Team will put all the pieces of the puzzle together and save you time and money. Tim Masa is the President of Cooperative Building Solutions. Tim is a LEED Accredited Professional who has been involved with rural electric cooperative projects with Gary Hobson over the past several years. Together they have been helping many rural electric cooperatives throughout the region with the planning, design and construction of new facilities. Tim earned his Bachelors Degree in Civil Engineering from Washington University. He continued his education at Washington University and received his Masters in Construction Management. Tim serves as a Board Member at Logos School in St. Louis and Lutheran High School in St. Charles. 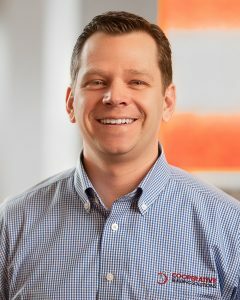 Max Ott is the Regional Vice President of Cooperative Building Solutions. He graduated from Oklahoma State University with a Bachelor of Science in Mechanized Agriculture. Following graduation, he attended the rigorous United States Army Officer Candidate School in Fort Benning, Georgia and was Commissioned 2nd Lieutenant. After serving two years as a Military Police Officer at Ft. Rucker, Alabama Max returned to his home state of Oklahoma and went to work as the Manager of Engineering at Alfalfa Electric Cooperative. After ten years in that position, he was promoted to General Manager and Chief Executive Officer, from which he is now retired. 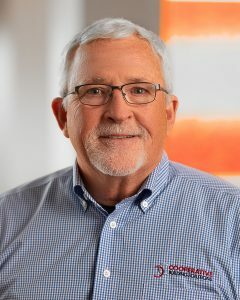 During his time as CEO, he has served on the board of the Oklahoma Association of Electric Cooperatives and the board of Western Farmers Electric Cooperative and has held the position of “President of the Board” of both Cooperatives. 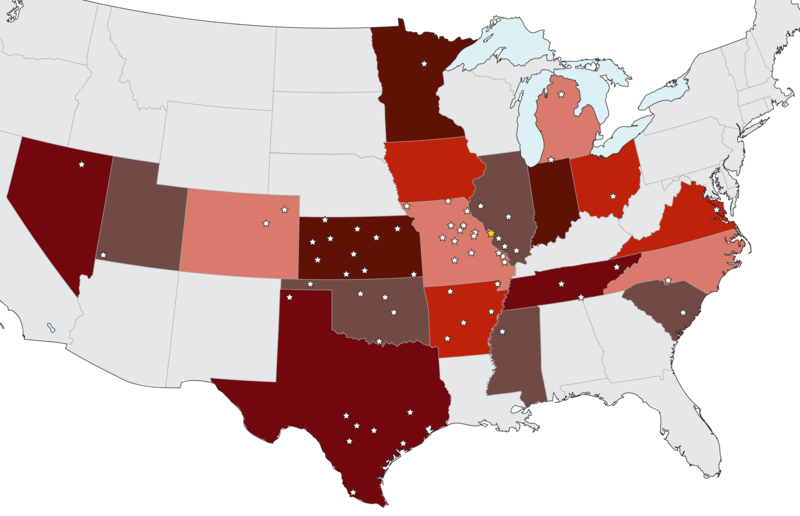 In addition, Max also represented Oklahoma on the board of the National Rural Electric Cooperative Association in Arlington, Virginia. Through his 38 years of experience in the Rural Electric field, Max has gained an understanding of what it takes to run a cooperative. 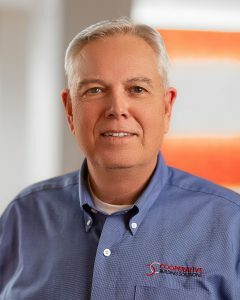 Bob Matheny recently retired from Sequachee Valley EC (SVEC) – TN after spending 32 years as a CEO in Tennessee and Michigan. Bob earned his Bachelor’s Degree in Electrical Engineering from Georgia Tech and his MBA from University of Tennessee. During his time as CEO, Bob served as Board Chairs of SEDC, CRC and NRTC, director on CFC and TVPPA boards and on several NRECA and statewide committees. During his 40 year career, Bob has overseen five cooperative facility projects in two states. He understands the stress and excitement of a facility project, how it affects the staff and board plus the importance of planning. Ray Beavers is the Regional Vice President of Cooperative Building Solutions. He Retired after spending 17 years as the CEO of United Cooperatives services in Cleburne Texas. Ray was the former CEO of Southwest Electric Cooperative in Oklahoma for 12 years as well as the Assistant to the General Manager for the Oklahoma Association of Electric Cooperatives for 7 years, an Energy Conservation and Member Services coordinator for Cotton Electric Cooperative for 3 years, as well as the Member Services Director for Canadian Valley Electric Cooperative. During his career Ray also served as President of the Rural Electric Development Council, was the President of the Board for the Texas Electric Cooperatives, President of the Board for CFC, as well as served on numerous NRECA task forces and committees. Roger Bowser is a Regional Vice President at Cooperative Building Solutions (CBS). Roger retired after 10 years of service as the Manager of Energy Programs & Services at Midwest Energy & Communications (MEC). 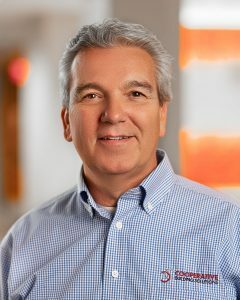 His last two years at MEC, Roger oversaw a $35M + new construction HQ building project for the Electric Cooperative as the internal project manager, owner’s rep and building committee lead while working alongside the CBS Team. 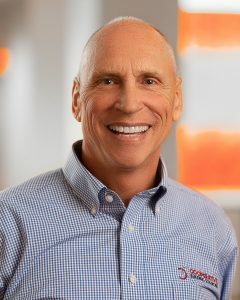 Prior to his tenure at MEC, Roger spent 25 years as the Senior Director of Business Development for Waste Management of N. America’s Sustainability Services in Houston as well as Managing Partner and Vice President of Sales & Marketing for Heritage Interactive Services and Vice President of Corporate Accounts for Heritage Environmental Services in Indianapolis. 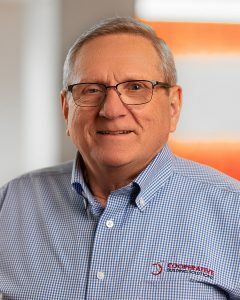 During his career, Roger also served on the Michigan Electric Cooperative Association’s Energy Optimization selection committee, Michigan County Roads Commissioner, American Red Cross Board of Directors and holds a U.S. Patent for an environmental outsourcing business model.